We have listed everything you will need to know about RVU, including the differences between RVU and WRVU. Here’s what you need to know about Relative Value Units. In the health industry, compensation is based on the productivity of physicians. But how do you determine the productivity of each physician? This is where RVU comes in handy. 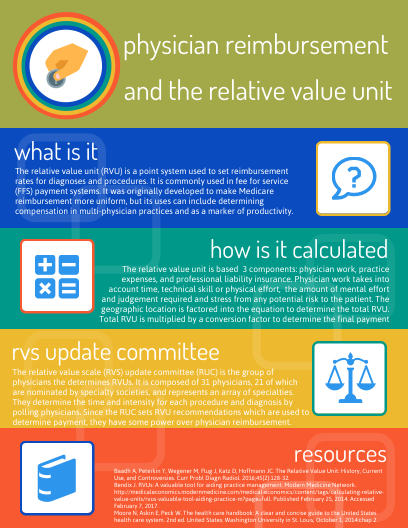 Basically, Relative Value Units (RVUs) is a standard set by Medicare to determine the amount to pay doctors depending on their productivity. It is a number that defines the volume of work doctors perform when treating patients for all procedures and services covered under the Physician Fee Schedule. In this post, we’ll help you learn more about RVUs. Keep on reading! What is RVU Based Compensation? As noted before, RVU-based compensation entails paying doctors depending on the amount of work they do when treating patients. For example, a surgical procedure will pay more than a typical checkup. The procedure can be intense and requires more time and specific skills. Thus, it will generate a higher relative value unit. Several factors are involved in calculating the compensation amounts for doctors. For example, a medical center may have an RVU rate that’s different from others. Others include skills and amount of time. How Much is RVU Worth in Dollars? The amount in dollars for RVUs depend on the CPT or procedure code. The American Medical Association provides the CPT codes used in identifying codes that physicians usually use. In a salary plus RVU compensation model, doctors usually receive incentives for every RVU above a given threshold. For example, if the threshold is 300 RVUs, and a doctor gets 350 RVUs a month, he or she will receive $1894.5 (50 RVUs x $37.89) as the incentive. In medical billing, WRVU and RVU basically serve the same purpose of providing a standard of measure in physician compensation. In WRVU, compensation is based on the activity of a doctor. On the employer side, the model requires them to ensure a steady stream of patients to the hospital or medical center. For physicians, they no longer need to worry about a differential in insurance payments. One common issue with WRVU and RVU is that they don’t recognize other physician duties. Also, they can lead to poor services as physicians compete for patients, instead of helping each other. If you’re an employer or physician, understanding how relative value units work is essential in planning compensation. As an employer, be sure that the employment contract clearly states that compensation is based on RVU. The agreement should clearly define what relative value unit is and how it will work for your employees. It should also cover the procedures and services that you will compensate through RVU. Physicians should always read the terms of compensation and be sure to confirm that it’s something they can work with. Do you have any question about RVUs and physician compensation? Be sure to reach out to us at any time to get quotes.